The adhesives specialist will be presenting the benefits of the continuously growing Jowatherm-Reaktant® MR series: PUR hot melt adhesives based on monomer-reduced formulations and therefore not subject to special labelling. 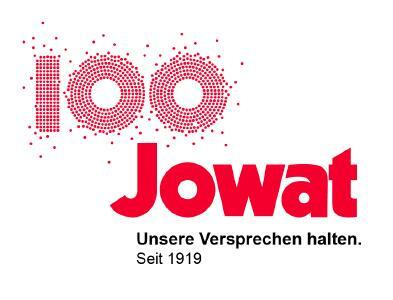 Jowat SE with headquarters in Detmold is one of the leading suppliers of industrial adhesives. These are mainly used in woodworking and furniture manufacture, in the paper and packaging industry, for graphic arts, in the textile, automotive as well as in the electrical industry. The company was founded in 1919 and has manufacturing sites in Germany in Detmold and Elsteraue, plus four other producing subsidiaries, Jowat Corporation in the USA, Jowat Swiss AG, Jowat Manufacturing in Malaysia, and the Jowat Universal Adhesives Australia Pty. Ltd. in Australia. The supplier of all adhesive groups is manufacturing over 90,000 tonnes of adhesives per year, with around 1,200 employees. A global sales structure with 23 sales companies plus partner companies is guaranteeing local service with close customer contact.